Woodside High School is a fully-accredited, comprehensive four-year secondary school that has been serving the communities of the mid-Peninsula since 1958. The 34-acre campus is one of four comprehensive campuses in the Sequoia Union High School District. The District's total student population is approximately 8,000, with approximately 1,800 of those at Woodside. Each school year is two semesters totaling 39 weeks of learning, and students follow a rotating block schedule with 95-minute classes every other day. Most students enroll in six courses each semester. Our student-to-teacher ratio is 26:1. Forty-five percent of our 114 certificated staff have a Master's degree. Our mission is to provide opportunity that matches privilege. Over its half-century, Woodside High School has emerged as one of the most dynamic and diverse comprehensive high schools on the San Francisco Peninsula. We have been listed in Newsweek Magazine's list of top high schools, and offer one of the most rigorous advanced placement and college preparatory programs in the region. Hear from the Principal and Instructional Vice Principal about how your student can be successful in an AS or AP course on Thursday, April 11, 7 pm - 8:25 pm, starting in the PAC. Click here for full details. Special Bell Schedule for Monday, April 29, Tuesday, April 30. The Athletic Boosters Organization has some great promotional gift ideas.. Click here for more details. Woodside stongly believes that high school sports are an essential component of our extra-curricular activities which promotes and reinforces the values of a strong work ethic, teamwork, delayed gratification and physical fitness. Woodside strives to foster the "8 Conditions" in order to maximize personal, social, and academic success. The Woodside High School Guidance department follows the American School Counseling Association (ASCA) national model in its focus in the three domains of counseling: Academic, Personal/Social and Career. 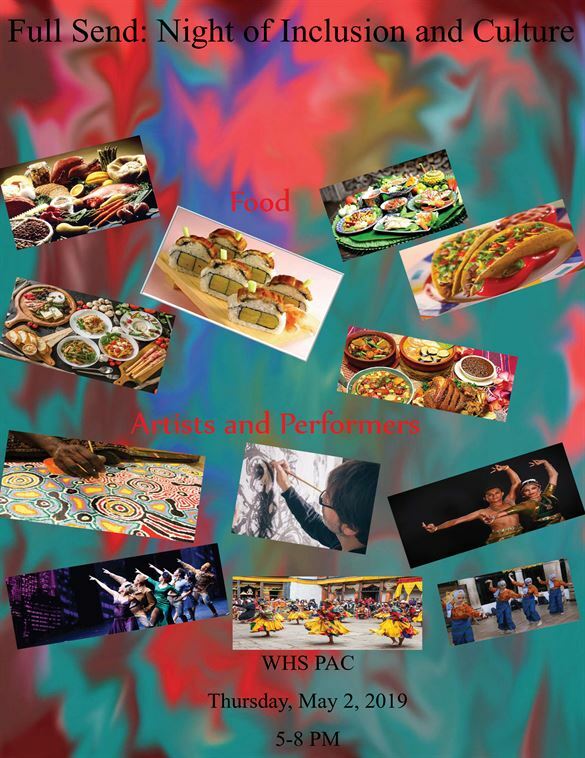 WHS students are educated to compete in our global economy and collaborate in our multi-cultural society. Get the latest information about all the activities you can join.